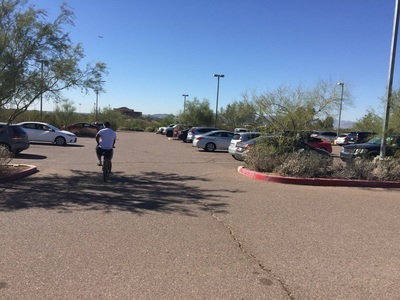 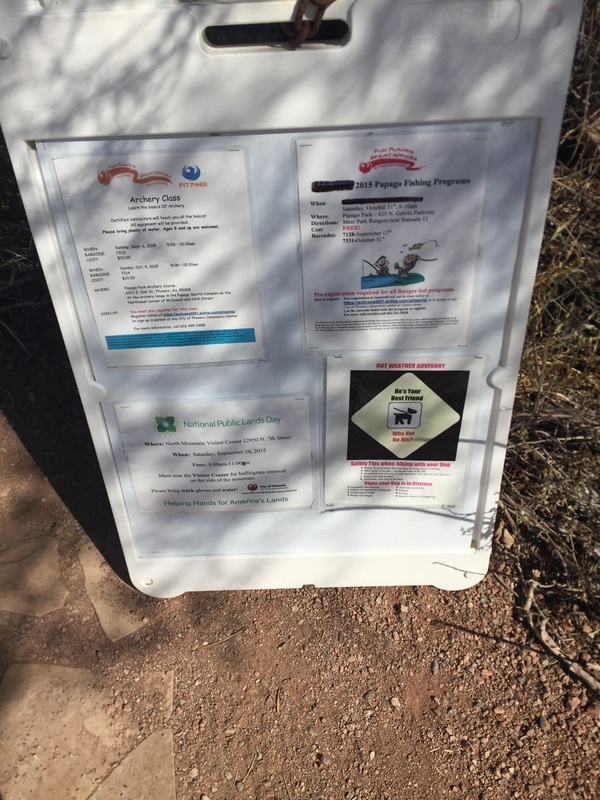 Hours: Roads and parking areas open sunrise to sunset or 7 P.M. (whichever comes first), trails remain open until 11 P.M. 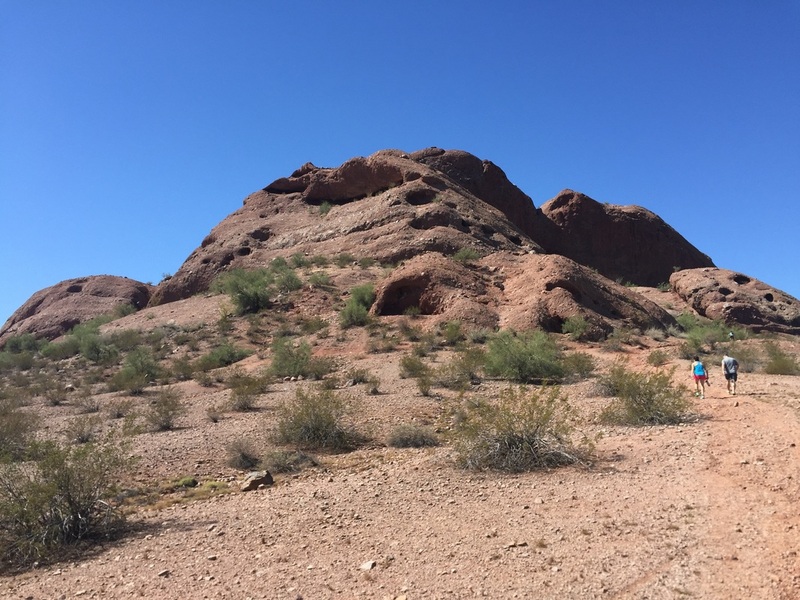 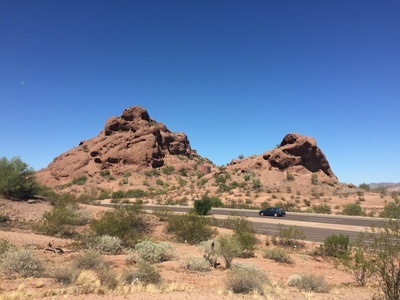 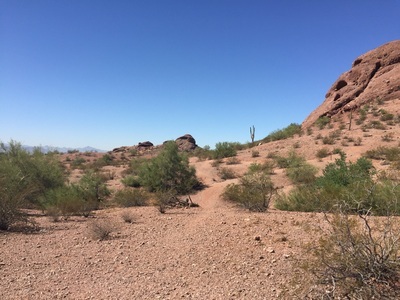 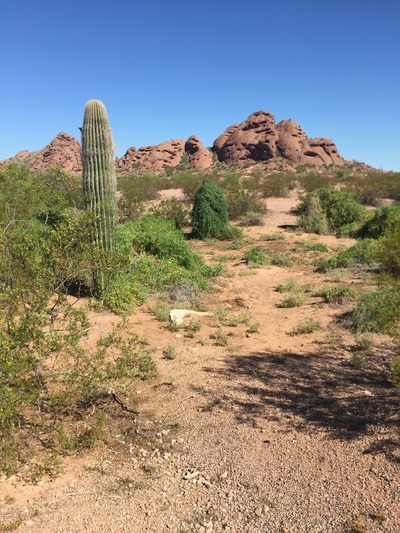 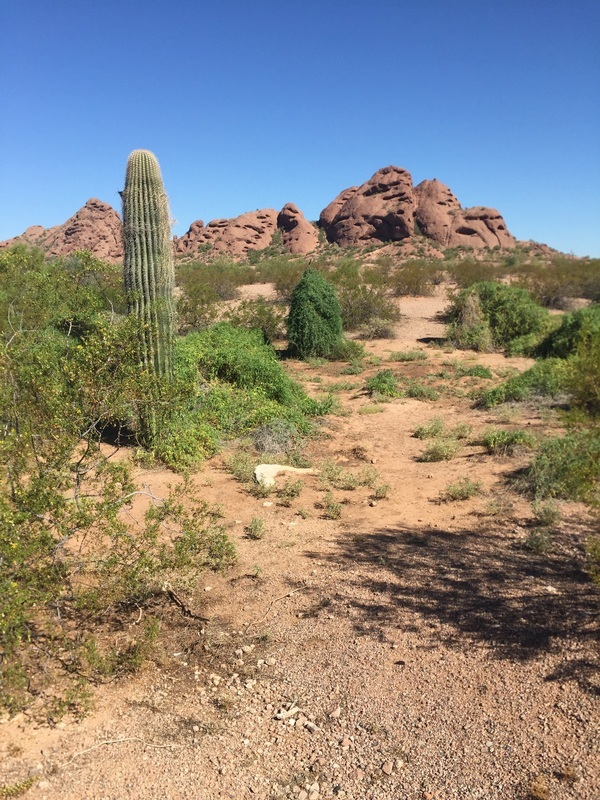 Description: Hike through 1,200 acres of desert, with views of the city, unique desert plants and geological formations. 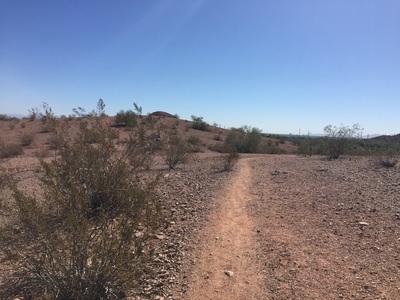 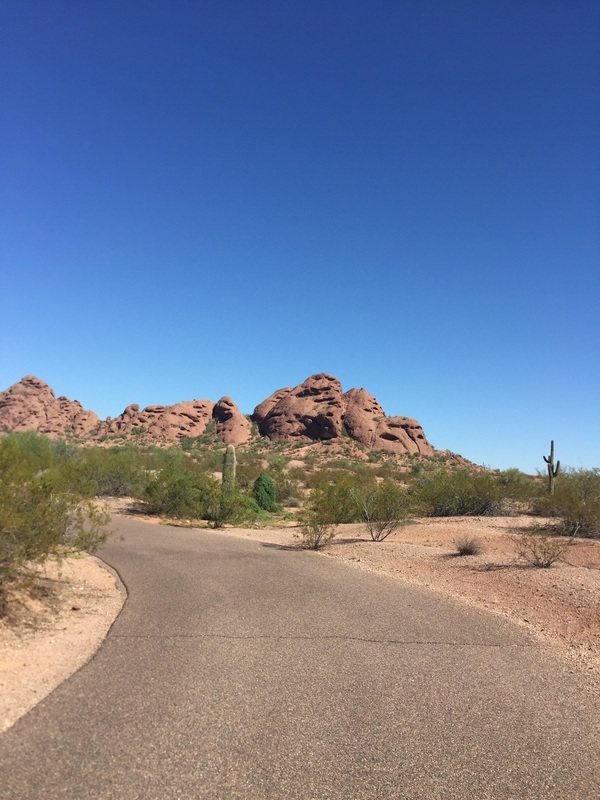 Trails here are easy with gentle inclines, but can get very hot in direct sunlight. 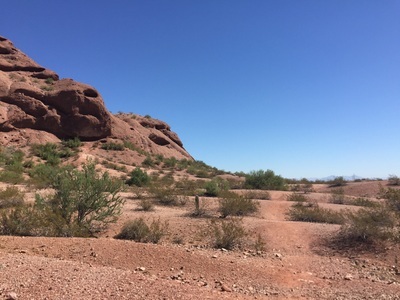 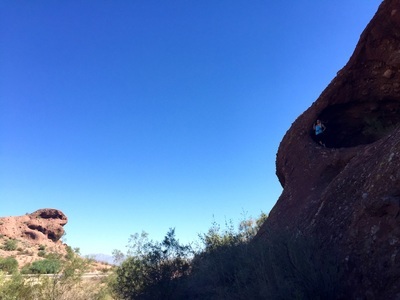 The red sandstone rock formations in the heart of the park were formed millions of years ago, and erosion has caused holes in the rocks, many of which you can hike up to and inside. 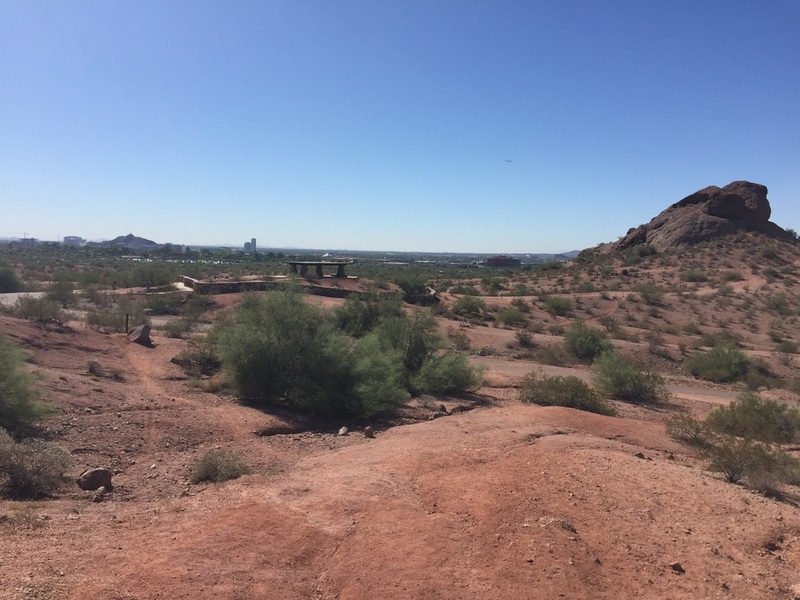 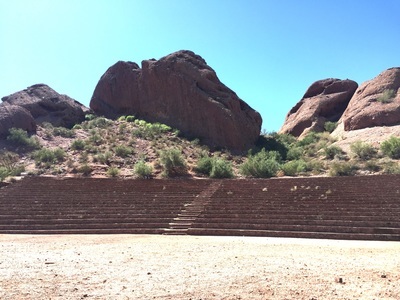 This park is also home to the pyramidal tomb of Arizona’s first governor. There are baseball fields, a small lake, a golf course and a botanical garden on the outskirts of the main hiking trails. 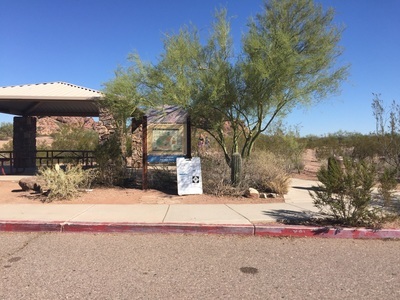 The West Park Trail is a 1.2-mile accessible trail with benches along the way. 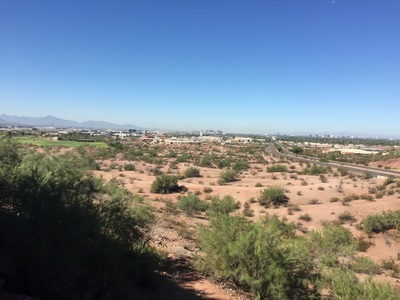 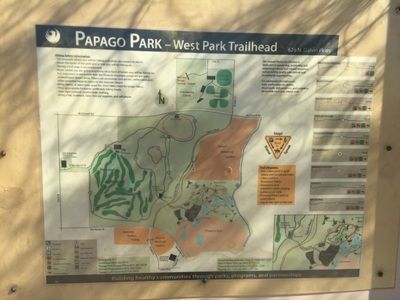 The West Park Loop Trail is a 4-mile dirt trail that lopps around the park and golf course.